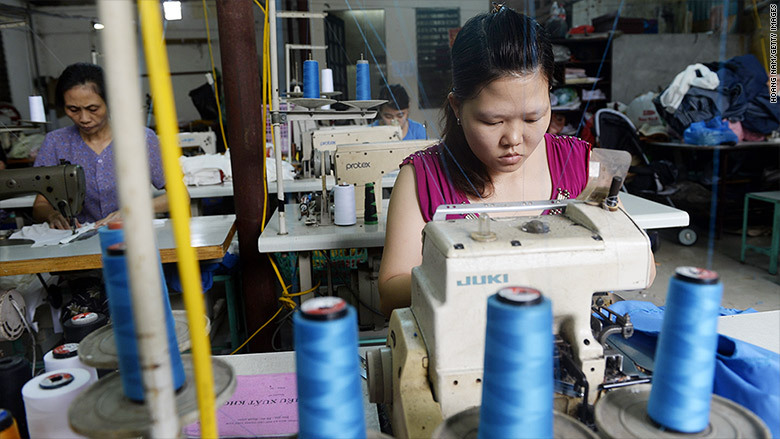 A textile plant outside of Hanoi, Vietnam, a country that's a part of the proposed trade deal. Everyone says they're fighting for American workers in the big trade debate underway in Washington. But that's all they agree on. The Trans-Pacific Partnership proposes to set up a free trade zone around the Pacific Rim, tearing down trade barriers between 12 countries including the United States, Japan, Singapore, Vietnam, Canada and Mexico. Advocates include President Obama, many congressional Republicans and the U.S. Chamber of Commerce. They argue the deal is important because it will let U.S. companies export more goods overseas, which would help create more jobs at home. Obama traveled to Nike's (NKE) headquarters outside of Portland last week to highlight a promise by the shoe maker to create 10,000 U.S. jobs if the trade agreement passes. Obama argues the trade deal is far more progressive than past agreements, because it provides measures to prevent overseas companies from using child labor or lax environmental practices to compete unfairly with U.S. companies. Besides lowering trade barriers, the agreement is also supposed to provide protection for the intellectual property of U.S. exports, from movies to software to prescription drugs. Advocates say that will protect U.S. jobs that are lost to pirated goods. But critics say the pact will simply exacerbate problems created by previous free trade deals like NAFTA and another one with South Korea. Those agreements, they argue, opened the U.S. to a flood of imports made by low-wage workers, which cost U.S. workers their jobs and lowered their wages. "This trade agreement would continue the race to the bottom for American workers," said Senator Bernie Sanders, a Democratic presidential candidate. Critics also argue the pact's labor and environmental protections are a sham and will do little to give American companies a level playing field. "We have a difficult time regulating businesses in our own country. Are we really going to have inspectors running around factories in Vietnam and Malaysia checking on factories there?" said Alan Tonelson, who writes on trade and economic issues for RealityChek. (See correction, below). Tonelson also questions claims made that the deal would significantly boost exports to the 11 countries. 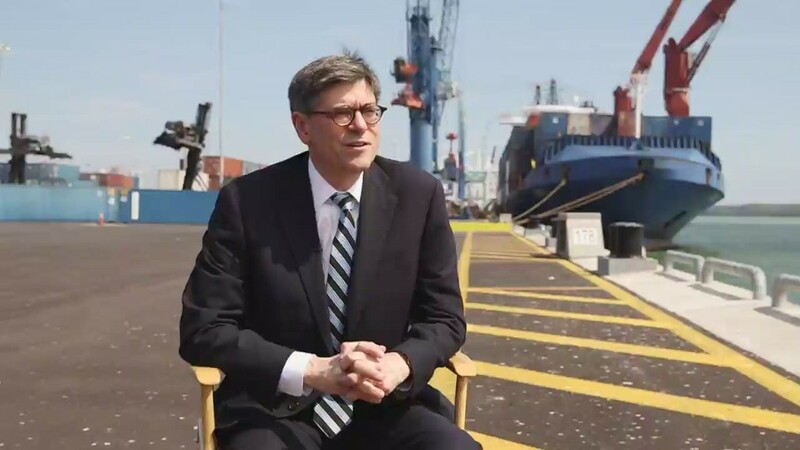 Most of those countries, he said, are small, export-driven economies that have little ability to buy U.S. goods, even if all barriers to exports are removed. Correction: An earlier version of this story had the wrong title for Tonelson.